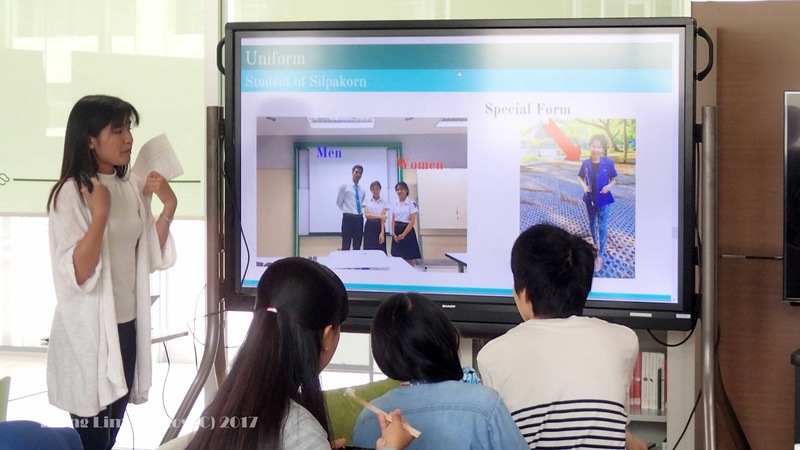 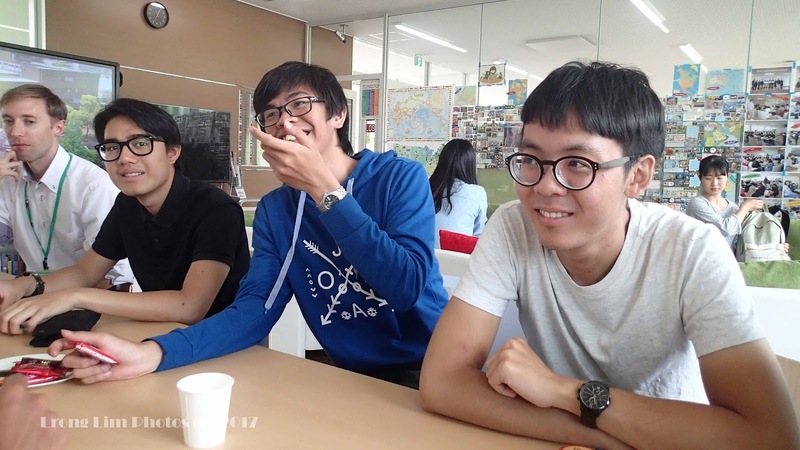 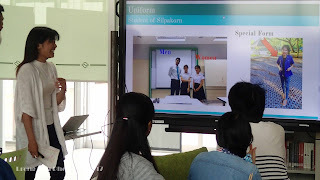 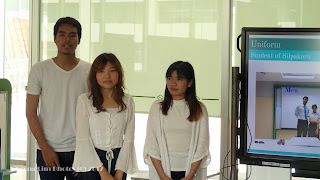 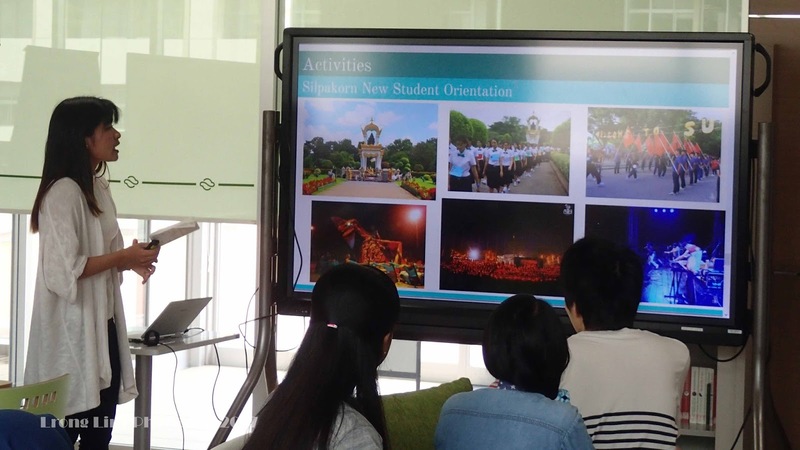 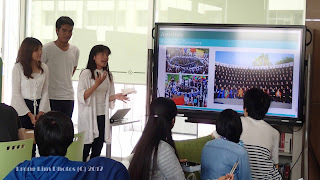 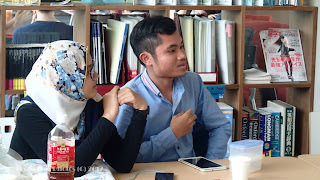 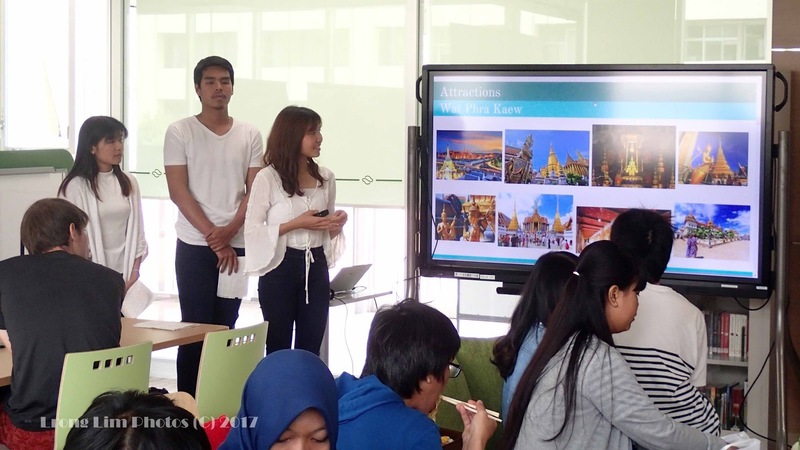 Three exchange students (O, Aoy, and Pu) from Silpakorn University, Thailand, took the front stage for 91st presentation in the series. 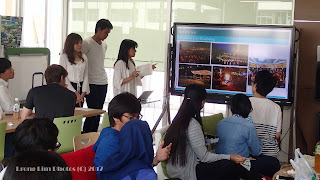 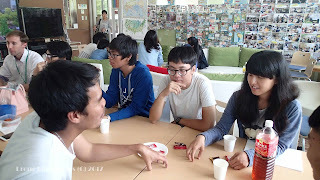 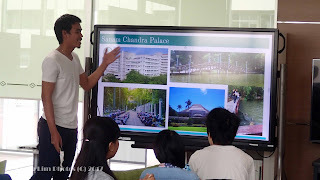 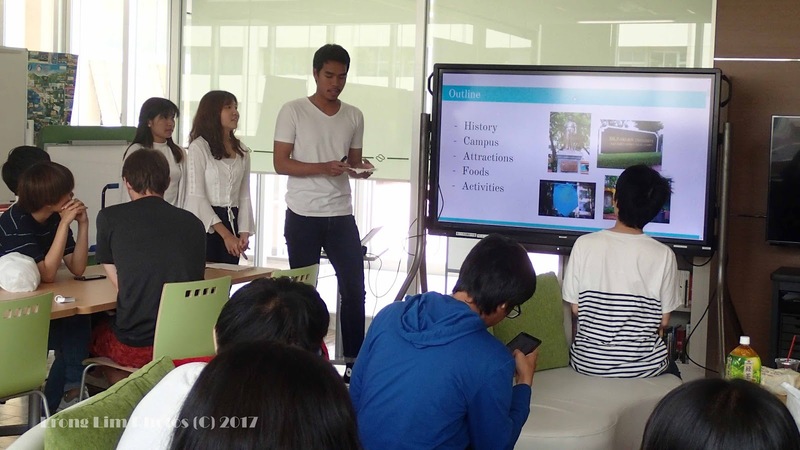 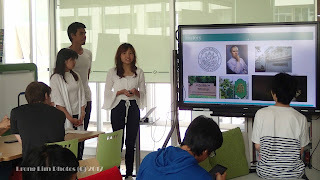 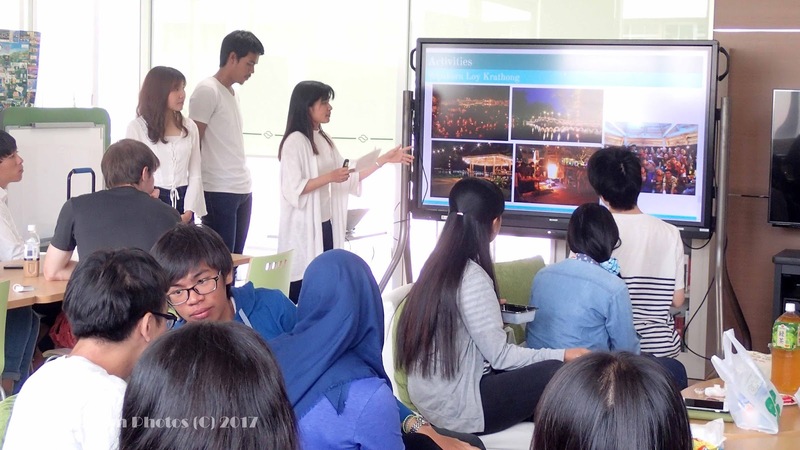 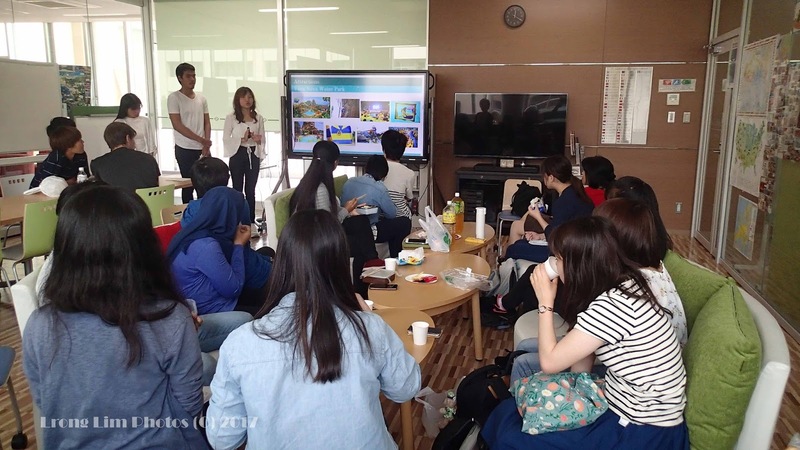 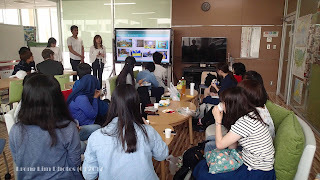 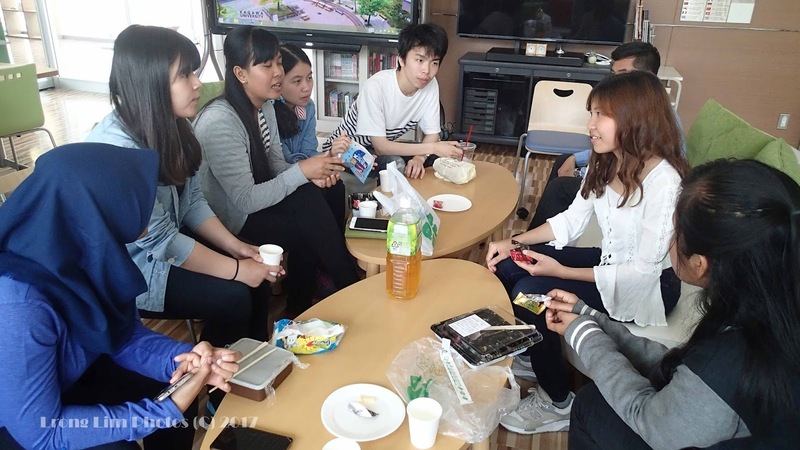 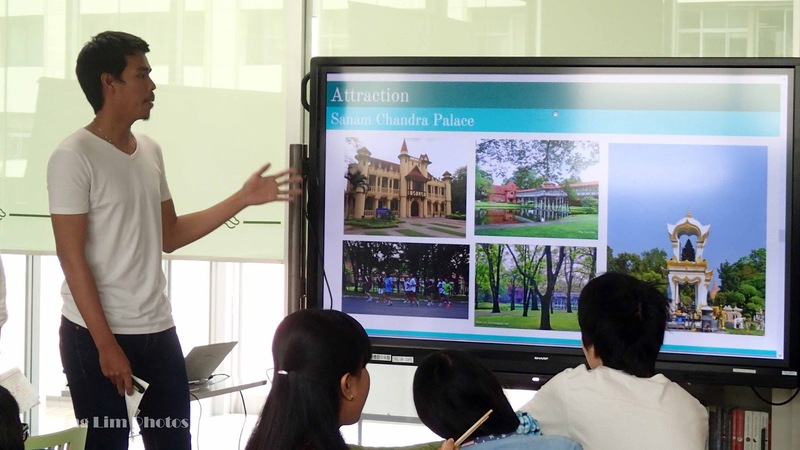 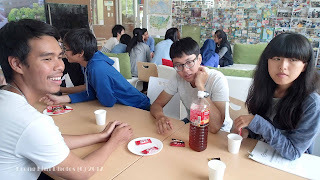 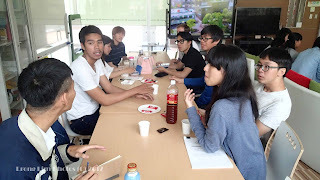 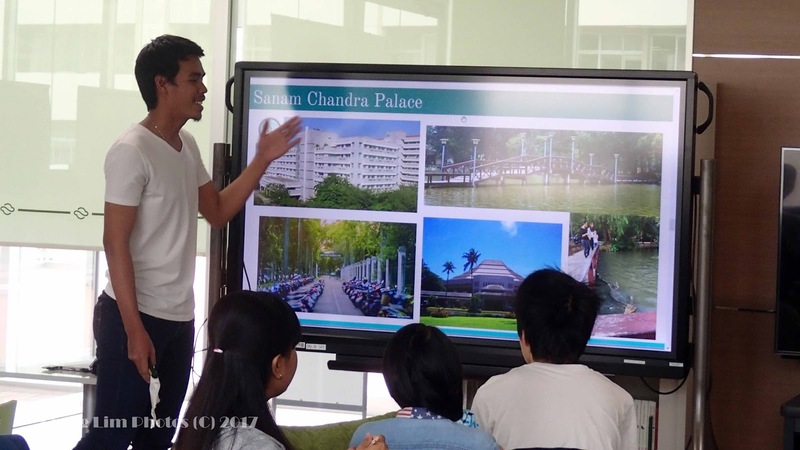 The title of their presentation was 'Silpakorn University Campus, Tourist attractions nearby our university, Activity in university, Foods'. 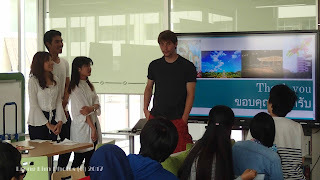 The MC was Philipp from Germany. 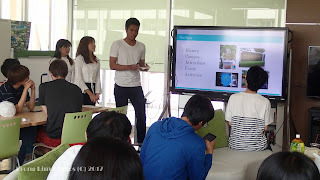 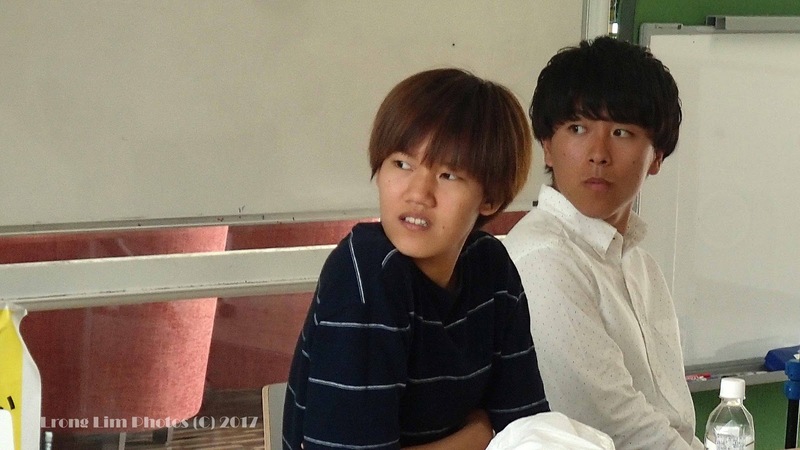 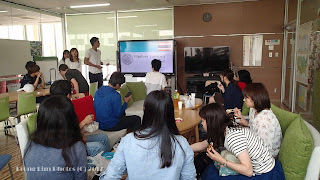 Twenty students came to listen to their presentation.